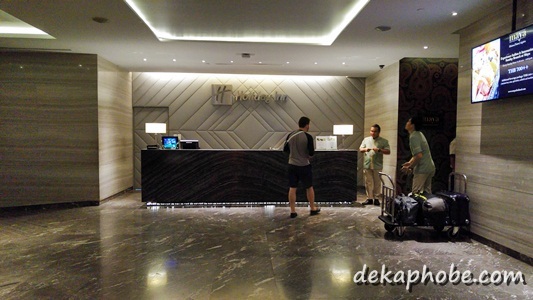 Our home base for our last few days in Thailand was Holiday Inn Sukhumvit 22 in Bangkok. Holiday Inn Sukhumvit 22 is strategically located along one of the major roads in Bangkok. It is located between BTS stations Asok (E4) and Phrong Phong (E5), and near Terminal21 and EmQuartier Malls. Our room has a king size bed with firm and soft pillows, a small couch, flat screen television, a work table, and personal fridge. Our bathroom has a rain shower/bath tub, complete with towels and hygienic necessities. 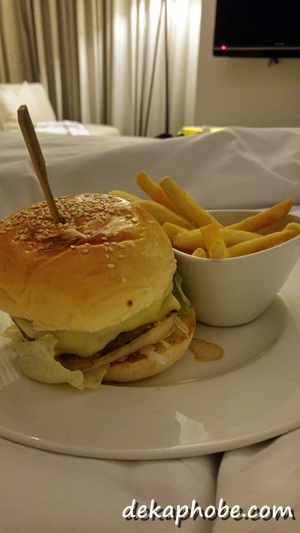 Oh, there's an in-room service available 24/7, where you can order food in the middle of night. Say burger cravings at 3AM. 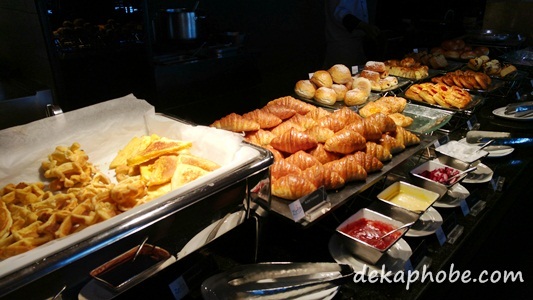 The buffet breakfast is served at Zeta Cafe. Since I love breakfast food, this place was easily heaven for me. 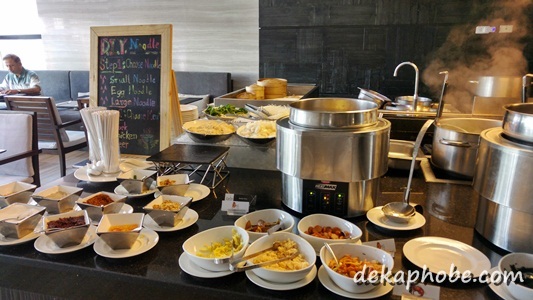 Zeta Cafe has a mix of Asian and International cuisine, as it caters to mostly foreign guests. 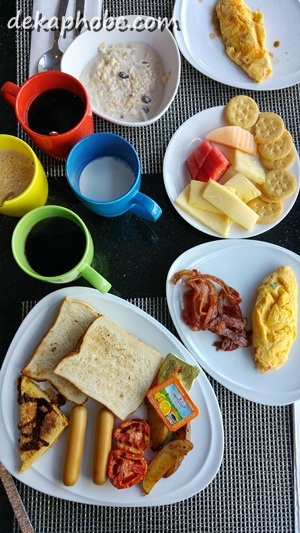 The boyfie and I had a grand time eating our breakfast favorites: omelettes, muesli, cereals, bacon (!!! ), coffee, more coffee, cheeses, sausages and toast. The area is quite active at nights, with restaurant, bars and massage places around the corner. Sadly, we weren't able to explore the area that much, except for dinner at a Japanese restaurant nearby. 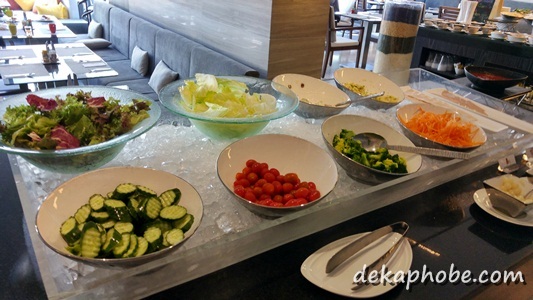 We really had a lovely stay in Holiday Inn Sukhumvit. 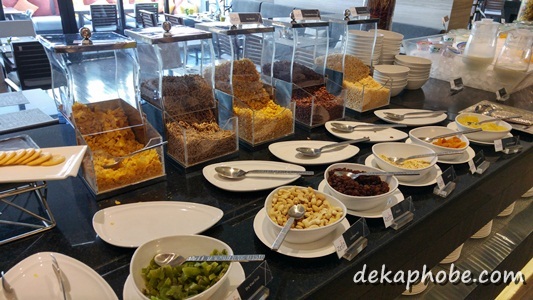 I was surprised that the boyfie mentioned that the rates aren't that expensive. 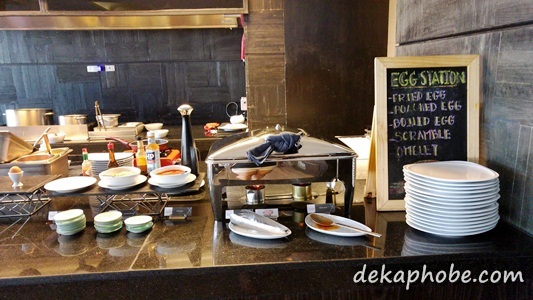 The service is excellent, the food impressive and the location ideal. I highly suggest that you book this place if you want a comfortable place to stay in Bangkok. StrEat: Maginhawa Food Park Eats! Shop and Get Your Cash Back with Shopback.ph!